Iceland is a paradise for hikers. The unspoiled nature, the fresh air and the weather … well, the weather is an adventure in itself. There are almost endless possibilities when it comes to hiking in Iceland, but you have to know your way around and be able to follow the weather forecast for the area you will be traveling, so we highly recommend you traveling with a professional guide. Hike across a multitude of varied landscapes, taking in golden beaches, dramatic craggy cliffsides, and diverse Arctic wildlife. The unique geographic feature in Iceland presents the hiking experiences of a lifetime. There are numerous locations that distinct from each other by themes. 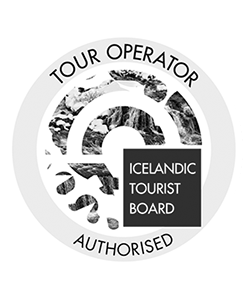 Below you will find the location and trail information selected for anybody that is interested in hiking in Iceland. One of the best places for hiking in Iceland is Thorsmork Valley. Thorsmork hiking trail offers the optimal experience to see the distinct seasonal scenery in Iceland. 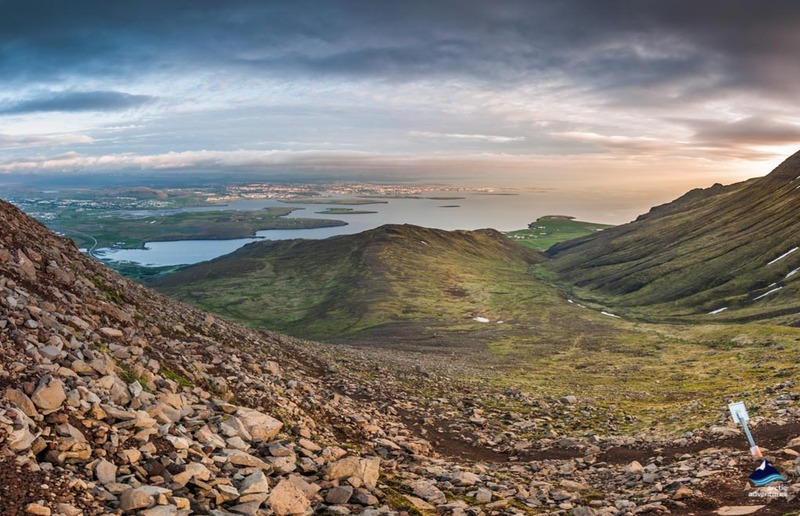 From the budding Spring and leafy Summer to colorful Autumn and snowy Winter, the mountain top will give you a panoramic view of the glaciers, rivers and streams glistering against the black sand in the sun, and the Icelandic plants. The acclaimed “Valley of Thor” is nothing but splendid. Located in the Southern highlands, Thorsmork is about 150 km from Reykjavik and 100 km from Selfoss. The essence of moving in the gravelly terrain is to have a capable automobile and an experienced driver. Self-driving needs a 4X4 vehicle with a river crossing insurance coverage. Booked tours usually take on the adventure with a super jeep. The hikers need them to cross the powerful Krossá river. Hiking in Thorsmork can be challenging but exciting at the same time. Available from April to October, the Fimmvorduhals trail is popular for running events and hiking tours. It’s best to dress in layers with a woolen base and pack some energy bars when you hike in Iceland. The weather can be unpredictable with the elevation gain. On your way to Thorsmork, you will also be able to take a glance at the famous volcano Eyjafjallajökull that interrupted the European air travel in 2010. Two new craters, Magni and Móði, were created in that year near this area. They were named after the sons of Thor. The Seljalandsfoss waterfall, one of the most photogenic streams in Iceland, will also be on your route. These are all on the part of what you will see when you are hiking in Thorsmork Valley – the Icelandic geographic miracle. Landmannalaugar Highland is a nature reserve that constantly reminds you of the beauty of our planet earth. The best way to see this vast wilderness is on foot. Located in Southern Iceland, the 190 km drive from Reykjavik requires a 4WD vehicle that will eventually be necessary to power through the mountainous area. The Highland is the home to multiple hiking trails that attract countless outdoor enthusiasts. Laugavegur hiking trail is most popular among both the local and international hikers. Every summer, you will see backpackers trekking on this route with the incomparable landscape passing on both sides. The Brennisteinsalda Mountain “Sulphur Wave” trail is another iconic route. The two-hour hike is never a monotonous marching on a tundra. The juxtaposition of greenish moss and maroon hills with the backdrop of dark lava and ash fields transforms this hike an intense visual treat. The well-known Laugahraun lava field with its lustrous colors and rough texture is a must visit. This path is on top of the hiking trail recommendation in Iceland. Next to the Mt.Brennisteinsalda is Mt. Blahnjukur, known for the Blue Peek trail, it leads the hikers all the way up to the 940m top where five glaciers is visible on a good day. In addition to several other trials in this area, the Landmannalaugar Highland provides a paradise where you will witness the nature’s miraculous design. 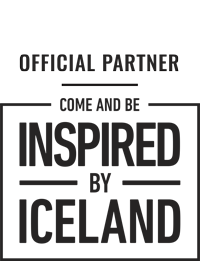 The trekking tours can be either a one-day hike or a multi-day trek. Also, always remember to bring your bathing suit. The abundant natural hot spring in this area will welcome you with a therapeutic treatment after a long day. 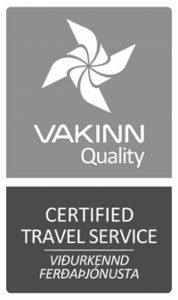 There are many possible and wonderful routes when you hike in Iceland, and Landmannalaugar hiking trails are without a doubt the precious ones. If you have come this far from another time zone to visit Iceland, then it is inexcusable that you miss this land of untouched nature. Iceland is famous for the waterfalls in all forms and sizes. Often you would praise that why the composition of water and landscaping can be so versatile. 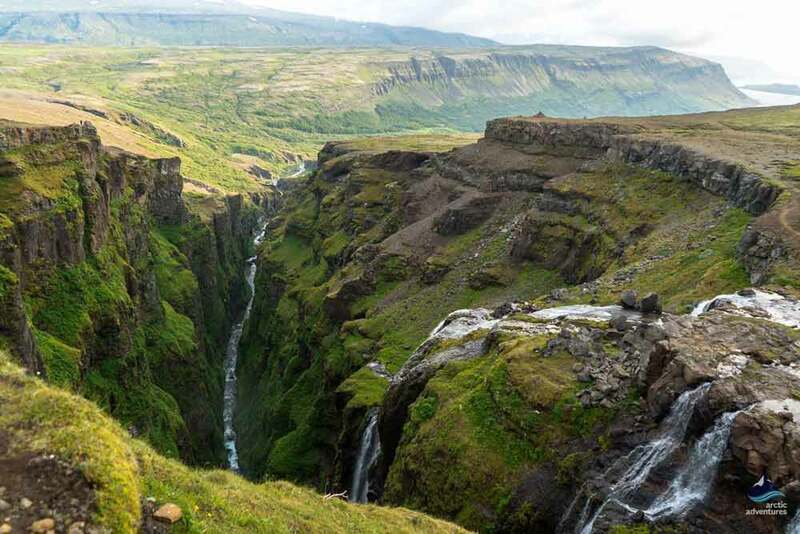 Among the incalculable waterfalls in Iceland, Glymur was once the highest of all. Glymur means a noise or a rumbling sound that can be heard in an echoing place. The name neatly describes the waterfall’s hidden position. Now as the second highest Icelandic waterfall, (Morsarfoss, with a drop of 228m, is now the highest since the measurement taken in 2011,) it only shows herself for those who are determined to reach to the top. The cascade drops from 198m high up all the way down to the bottom of the canyon and continues to stream into Botnsdalur. Hiking to Glymur usually takes two to three hours round trip. Both North and South sides are good to observe the waterfall, but the Southside is recommended since it is facing the cascade. And it will be even charming when the weather creates the condition for a rainbow. In Iceland, hiking is commonly aesthetic for the eyes and illuminating for the mind. Hiking to Glymur is one nice example. Its location in Hvalfjordur (Whale Fjord), West Iceland, offers diverse sceneries with endless green sprawling all over the land, and a lava cave where you can spot the water stream and mountain ranges from inside. The hiking trip won’t be too much of a challenge. But a decent pair of hiking boots and waterproof pants would certainly help you feel comfortable along the way. 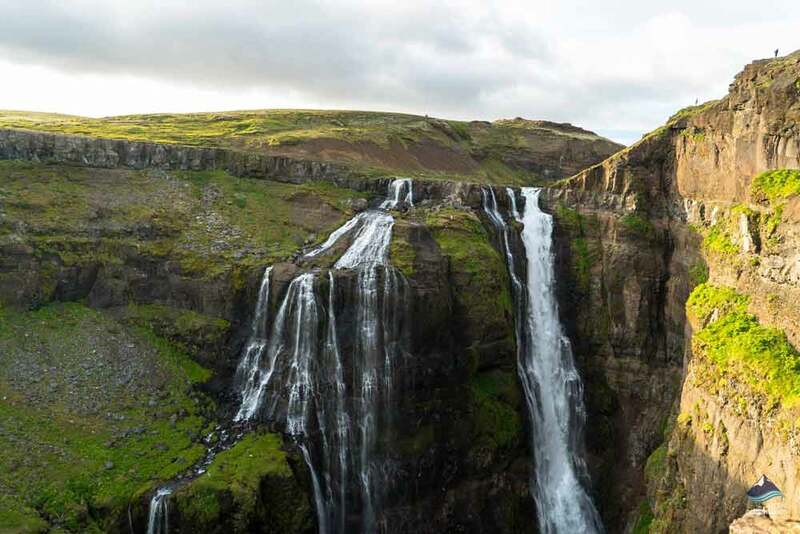 Glymur waterfall hike is also a perfect day tour if you are planning to relax in the evening back in Reykjavik. Situated at the west point of the Snæfellsnes Peninsula, Snæfellsjökull glacier is bestowed with the majestic view of land and ocean. Its peak reaches 1446 m (4744 ft) above sea level. When clouds are passing, you could literally be going up through the clouds to see the top. When you reach the top, the view will prove your hiking effort’s worth. You can even sight the East coast of Greenland in superb visibility. The ice, the sky, the ocean, and the top of other mountains – everything around you looks pure. It is the most pristine glacier in Iceland. Snæfellsjökull glacier gained international fame after the movie “Journey to the Center of the Earth” in 2008. Aside from the fictional narrative in the movie, the glacier itself shares the similar mysterious spirit. It is a beautifully- shaped volcano with a white cap, and people living on the Northwest coast of Iceland capital region can sometimes see its vision. It is a 700,000-year-old volcano that fills the imagination of those who are poetic and brave. Hiking to the glacier summit usually takes three to five hours depends on the weather. If your route begins in a small fishing village called Arnarstapi, the hiking distance to the peak is 7-8 km (4.3-4.9 miles). There will be crevasses and other potential dangers along the way, so a professional guide on the team would be a big help. An adventurous glacier hiking like this one needs a team that strives together. That’s what unique about the glacier hiking. It pulls you away from the daily normality and puts you in the extraordinary condition. It reminds you of being capable and vulnerable. Iceland’s high latitude formed some of the largest glaciers in the world. Before Snæfellsjökull, there are 12 other glaciers that are larger. Vatnajökull glacier is the largest in Iceland and in Europe. The global warming presents problems to many glaciers in the world. 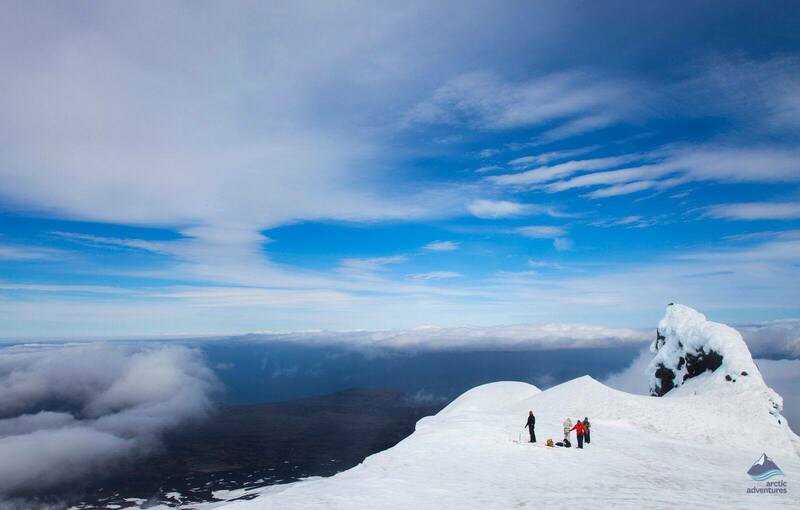 In August 2012, the summit of Snæfellsjökull glacier was free of ice for the first time in recorded history. And Vatnajökull glacier has been shrinking at an alarming rate. Although it’s not under imminent change, the natural magnificence needs to be well-protected. Reykjadalur (stream valley) Geothermal Area is a live demonstration of the earth energy. When you travel on the ring road from Reykjavik 45 km to the south, you will see a sweeping view of Hellisheiði mountains with numerous steams coming out of the ground. That’s when you know Reykjadalur is close. Before you can relax in the hot spring river, you need to walk 3 km (1.86 miles) to get there. It’s not challenging and there is no need to rush. Meandering between valleys in this area before taking a dip in the hot spring river in the middle of wilderness will make your day enjoyable. The nature of hiking in Reykjadalur is more recreational than athletical. Along the way, you will see a small canyon called Djupagil and a babbling waterfall Djupagilsfoss. The hot steam emits the sulfur smell. If you are willing to walk more north beyond the common hot bath point, you will see the minerals painted rocks and ground. It is an absolute relaxation with colors, sounds and smell. Another beloved thing to do in this area is to get to know the Icelandic horses. Icelanders are very proud of what their horses can do – the noteworthy gait tölt. That indicates the Icelandic horse is a “five-gaited” breed. They are good at crossing rough terrain and are skillful with their footwork – they can do five gaits! This attracts quite a lot of curious visitors to ride on the horseback for this exotic experience. That’s why riding horseback in Reykjadalur area is so popular. Hikers and visitors usually start their day in the nearby town named Hveragerdi. The town has beautiful greenhouses and even the largest banana plantations in Europe. Meanwhile, for visitors, Hveragerdi town has options for your last-minute preparation before you go into the Reykjadalur valley for further activities. There are several restaurants, shops that you can buy woolen inner layers and hiking outfits, and a museum with the “Quake 2008” exhibition that displays and simulates the damage of the earthquake in May 2008 in South Iceland. Iceland is known for its dynamic earth activities. Starting about 24 million years ago, the divergent boundary of the Eurasian and the North American tectonic plates began to create an island under the ocean. Eventually, the oldest rock in Iceland emerged above the ocean surface 16 – 18 million years ago. The movement from two plates sliding apart constantly releases energy and shapes the island nation with volcanos, ice caves, steam, Geysir and waterfalls. Those endless activities make Iceland a huge Geothermal park. In contrast with the hotspot activities, the near-Arctic latitude bestowed Iceland with glaciers, cool air and temperamental weather. All together it molds the ultimate harmony of fire and ice on an island standing alone in the North Atlantic. Even more miraculous is that you can actually see and touch the two continents when you visit Silfra Fissure. 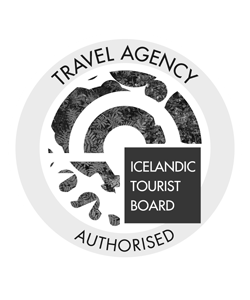 Iceland, therefore, became the unparalleled choice when you desire the intimacy with our planet. And hiking is only the beginning of getting to know how wonderful it is to be in Iceland. There are other places for hikers to explore near Reykjavik. Heidmork nature reserve, located on the outskirts of Reykjavik, is a popular hiking location for the locals. It is also a backdrop for many Icelandic photographers. Although the mossy land is not to be stepped on due to its fragility, looking at it nearby is also relishing. In winter, when Heiðmörk is covered by snow, you can also join the locals for cross-country skiing. Beside Heiðmörk, Mt. Esja is another favorite weekend destination among the residences of the capital region. Two of best-known hiking trails are to Þverfellshorn (780m / 2559 ft ) and Kerhólakambur (851m / 2792 ft ). There are marks along the way for hikers and climbers. If you are not a very experienced hiker, the point to turn back is usually by the sight of a huge rock named Stein at 597m (1959 ft) high. The highest point of Esja is Hábunga that reaches 914 m (2,999 ft) above sea level. This requires another 3km-or-1.86 mile-climbing northeast. The efforts will be rewarded by the breathtaking view of the cityscapes fragmented by the curvy roads extending to the horizon. If hiking in Heiðmörk is too easy and the Esja trail is a bit challenging, there is one spot that’s in the middle of these two – a lesser known but totally beautiful Mt. Helgafell in Hafnarfjörður. It is only 340 m (1115 ft) high, which makes the hiking fun and easy, plus the view you could have on the top when the moonlight falls and the city lights turn on. Storurd, a remote valley located in Mt. Dyrfjoll; the trail takes five to seven hours to finish; the elevation gain is estimated 600m (1968 ft). Mt Snaefell, the hiking trail starts from the Snaefellsskali Hut, a small mountain hut at the foot of Mt Snaefell; it takes six to seven hours to the top; suitable for experienced hikers. Skalanes, this is three-hour relaxed walk across a diverse nature reserve of grassland, waterfalls, seashores and beaches; for those who are interested in Iceland culture and heritage, the nearby village and farm are also good to go. Visitors from densely urbanized areas are often amazed by the vicinity of nature in Iceland. There is no need to make too much effort when you plan to spend quality time in the scenic countryside. Icelanders are very outdoorsy. Hiking is a basic activity, solo or in a group. The outdoor facilities are well established. Both Thorsmork valley and Landmannalaugar area have huts for visitors’ temporary use. But, since the unpredictable weather could bring harsh conditions, as a traveler, it’s always good to have a companion on the road. Or, it’s necessary to update your itinerary on safetravel.is so that when you are in stress, the rescue team could locate you fast. When you travel in Iceland, it is good to pack swimming suits and bath towels. 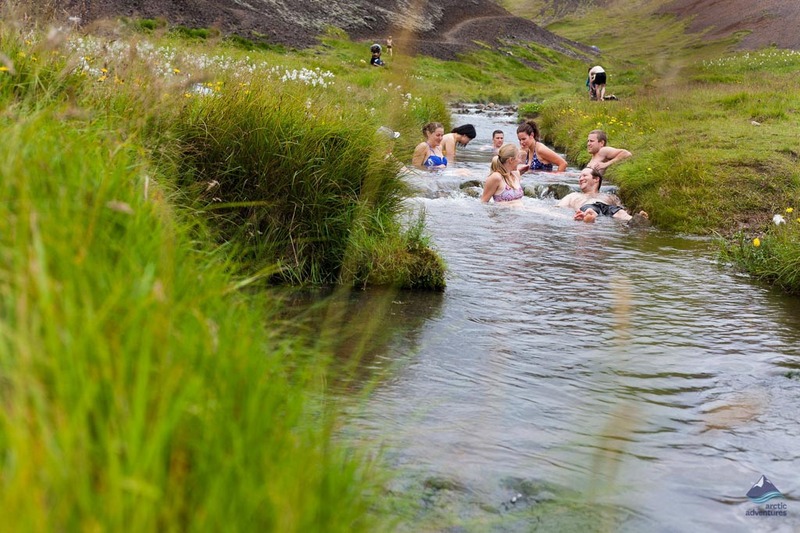 Iceland has abundant hot spring resource. You need to be prepared for a likely chance to immerse yourself in the warm water and be able to dry yourself after. This is also a fun side about hiking in Iceland, you are not just walking on a trail, there are so many other things to experience too. One thing to be mindful is that always pick the right hot spring. Take Reykjadalur Geothermal Area as an example, there are some hot spring sites that are not suitable for bathing since they are too hot! Be mindful of where you are going is always essential.